In 1861 Alexander II issued his Emancipation Manifesto that proposed 17 legislative acts that would free the serfs in Russia. Alexander announced that personal serfdom would be abolished and all peasants would be able to buy land from their landlords. The State would advance the the money to the landlords and would recover it from the peasants in 49 annual sums known as redemption payments. Alexander's reforms did not satisfy liberals and radicals who wanted a parliamentary democracy and the freedom of expression that was enjoyed in the United States and most other European states. The reforms in agricultural also disappointed the peasants. In some regions it took peasants nearly 20 years to obtain their land. Many were forced to pay more than the land was worth and others were given inadequate amounts for their needs. By 1900 around 85 per cent of the Russian people lived in the countryside and earned their living from agriculture. The nobility still owned the best land and the vast majority of peasants lived in extreme poverty. To give the land (to the serfs) meant to ruin the nobility, and to give freedom without land meant to ruin the peasantry. The state treasury impoverished by the vast expenses of war, could not afford to indemnify either party. There lay the problem. Could the serfs made to pay for their freedom? Could the serf-owners be granted loans on the security of their estates? Would not twenty-two million slaves suddenly set free combine to take matters into their own hands. The position of most large landowners was this. They lived in St. Petersburg or some other great city. They did not farm their estates. They had stewards who administered their property and collected their revenue. They had numbers of serfs paying a handsome annual tribute for their partial freedom, a tribute which the landowners' agents strove incessantly to increase. It was their slaves rather than their land which brought them income. From 1840 onwards, the need for serious reform does begin to be apparent: agricultural production is poor, grain exports low, the growth of manufacturing industry slowed down through the shortage of labour; capitalist development is being impeded through aristocracy and serfdom. It is a perilous situation, which is given a fairly astute solution in the act of "liberation" of 19th February 1861, abolishing serfdom. 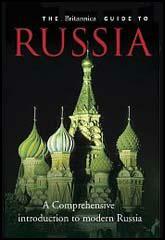 With a population of sixty-seven million, Russia had twenty-three million serfs belonging to 103,000 landlords. The arable land which the freed peasantry had to rent or buy was valued at about double its real value (342 million roubles instead of 180 million); yesterday's serfs discovered that, in becoming free, they were now hopelessly in debt. (3) In the summer of 1876 Praskovia Ivanovskaia and her friend Galina Cheriavskaia went to work as farm labourers in the Ukraine. They were revolutionaries and were hoping to convert the peasants to socialism. On our first day, we joined the other women workers in some pretty filthy work: shearing sheep. We performed this monotonous task in a large covered shed, saturated with the smell of sheep. Some of us sheared, while others picked burrs and all sorts of trash that had gotten caught in the wool. We were soon transferred from the foul shed to a distant work site in the broad steppe, the realm of green fields. We were assigned to hay mowing. At four in the morning, as the sun's rays were just beginning to spill over the steppe, the overseer would wake us, kicking the legs of those who wouldn't get up immediately. At the camp, the steward assigned us to the various sectors. In the morning, we froze from the bitterly cold dew, which drenched our clothing up to the waist. Staggering along, still half asleep, we worked as automatically as robots, gradually warming up a bit. At ten, we returned to camp for breakfast, which lasted around half an hour. Despite the camp hubbub, some people preferred to nap instead of eating. Our food was of rather poor quality - very plain and unappetizing. In the morning, they cooked us a watery gruel made from wheat and water with a dose of salt, or buckwheat dumplings as big as cobblestones - one or two of these would satisfy the hunger of even the greatest glutton. The meal was poured into a wooden trough, from which you'd pull the dumplings with long, pointed splinters. We got the same modest fare for lunch and dinner. After our brief breakfast, we returned to work. As the day wore on, the heat became so intense that you wanted to take shelter in any available patch of shade. The sun was so strong that the backs of most of the newly arrived vagabonds were practically covered with swollen blisters; later, as their skin toughened up, the burns went away. We women were often so exhausted from the heat that we lost much of our modesty: when we reaped and bound the hay, we wore only our shirts, since that made it a lot easier to work. During the busy season, there were no set limits to the work day: if the steward wished, it could last for sixteen hours or more, with only an hour off for lunch. Actually, the work itself was lively and gay, although Galina and I found it difficult and alien. In the evening, after the sun had set, we returned to camp. The fire would be going and dinner waiting. Some people filled their stomachs with the plain, unsatisfying food and fell asleep on the spot, scattered around camp. Everyone slept under the open sky, harassed by mosquitoes and subject to the bites of other enemies as well: the black spiders, whose venom could make your whole body swell up. At first, people found it rather strange to hear ordinary girls - manual labourers like themselves - speak of many things they'd never heard or even thought about. They became most interested when the conversation touched upon the land: this immensely important topic was dear to every heart. Everyone was united on this issue; they all felt the need for land most acutely, and this provided us a way to reach even the simplest peasant. However, we didn't actually conduct socialist propaganda; it was clear that we were still an alien, incomprehensible element in a world we scarcely knew. 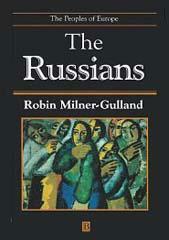 Of course, our difficulties were compounded by the repressive political system of Russia and the peasants' own fear. They reacted to all radical talk with caution, distrust, and sometimes the most natural incomprehension. Frequently our evening talks ended with the peasants saying: "That's our fate - so it's been written", or, "We're born - we'll die." In fact, we were rarely able to talk at all: after the day's work, our limbs shrieked with weariness, our exhausted bodies demanded rest and peace. (4) Leon Trotsky wrote about life on a Russian farm in his book, My Life: An Attempt at an Autobiography. My father and mother lived out their hard-working lives with some friction, but very happily on the whole. Of the eight children born of this marriage, four survived. I was the fifth in order of birth. Four died in infancy, of diphtheria and of scarlet fever, deaths almost as unnoticed as was the life of those who survived. The land, the cattle, the poultry, the mill, took all my parents' time; there was none left for us. We lived in a little mud house. The straw roof harboured countless sparrows' nests under the eaves. The walls on the outside were seamed with deep cracks which were a breeding place for adders. The low ceilings leaked during a heavy rain, especially in the hall, and pots and basins would be placed on the dirt floor to catch the water. The rooms were small, the windows dim; the floors in the two rooms and the nursery were of clay and bred fleas. On the hill above the pond stood the mill - a wooden shed which sheltered a ten-horse-power steam-engine and two millstones. Here, during the first years of my childhood, my mother spent the greater part of her working hours. The mill worked not only for our own estate but for the whole neighbourhood as well. The peasants brought their grain in from ten and fifteen miles around and paid a tenth measure for the grinding. (5) In the summer of 1917 Ernest Poole visited the rural areas of Russia. This included an interview with a farmer who was a member of a village cooperative. Our cooperative store has still quite a stock of goods, and the steadier peasants all belong. We have eighteen hundred members now. Each paid five roubles to buy a share. There were six thousand purchasers last year; and because we charge higher prices to outsiders than to members, so many more peasants wish to join that we are almost ready to announce a second issue of stock. Of course, our progress has been blocked by the war and the revolution. Goods have gone up to ruinous rates. Already we are nearly out of horseshoes, axes, harrows, ploughs. Last spring we had not ploughs enough to do the needed ploughing, and that is why our crop is short. There is not enough rye in the district to take us through the winter, let alone to feed the towns. And so the town people will starve for awhile - and sooner or later, I suppose, they will finish with their wrangling, start their mills and factories, and turn out the ploughs and tools we need. Just take a trip to Petrograd. Go to any railroad siding there and you will see perfect hills of scrap iron. Why can't they melt it up again and out it to use? Soon we shall have no axles left, no tyres for our wagon wheels, no chains for the logs, no ploughs for the fields, no horseshoes for our horses! But still they do nothing! The blind fools! The trouble with those people is that they think all the best things are made in the cities. It is not so. Here we grow the flax and grain; here we raise the meat they eat, and the wool to keep them warm; we cut trees to build their houses and firewood to heat their stoves. Thy could not even cook without us! Other country districts turn out the coal and the iron ore. All the real things in Russia are done in the villages. What kind of crops do they raise in the towns? Only Grand Dukes, Bolsheviks and drunkards!